The European Parliament has set content quotas for OTT video services like Netflix and Amazon Prime even higher than the Commission originally wanted. 30 per cent of the services' catalog must be European works, Parliament has decreed. The Commission asked for a 20 per cent quota. Some member states already operate a quota, with France's set at 60 per cent. Greece pushed for 40 per cent so, in the way that these things are settled, Parliament settled on 30 per cent. The changes are part of tweaks to the Audiovisual media services directive. The scope of the directive has been extended to "social media" and the quotas to any streaming on-demand service. 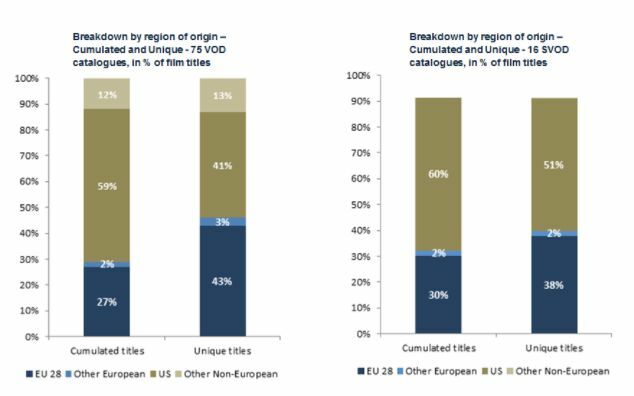 The European Audiovisual Observatory found that 32 per cent of catalogues it studied and 40 per cent of titles originated in Europe [PDF]. Netflix's counter argument is that well-intentioned quotas result in lower quality work. "[They] divert investment away from high-quality European films and series that can attract a global audience," Netflix's director of public policy Colin Bortner told the Financial Times [paywalled]. Member states will also be permitted to impose a levy from the streamers; many already do, and Netflix is challenging these in the European General Court.